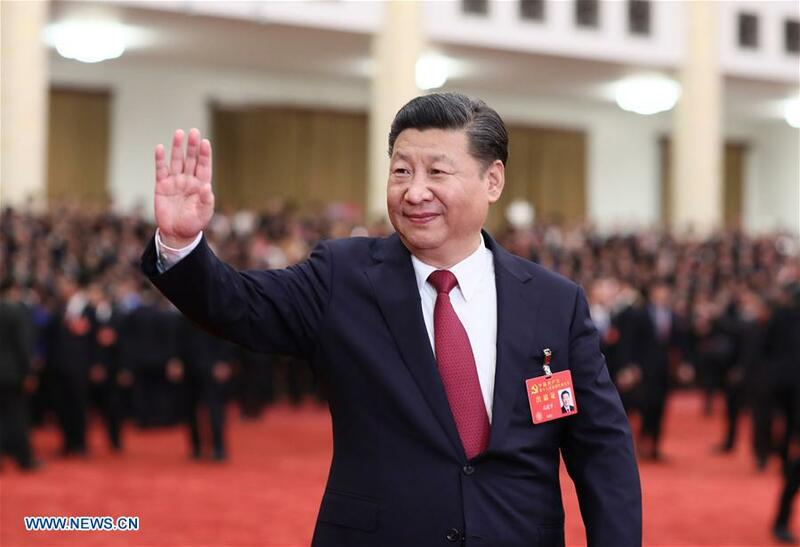 Xi Jinping, general secretary of the Communist Party of China (CPC) Central Committee, Wednesday met with more than 2,700 delegates, specially invited delegates and non-voting participants of the 19th CPC National Congress. Xi is also Chinese president and chairman of the Central Military Commission. 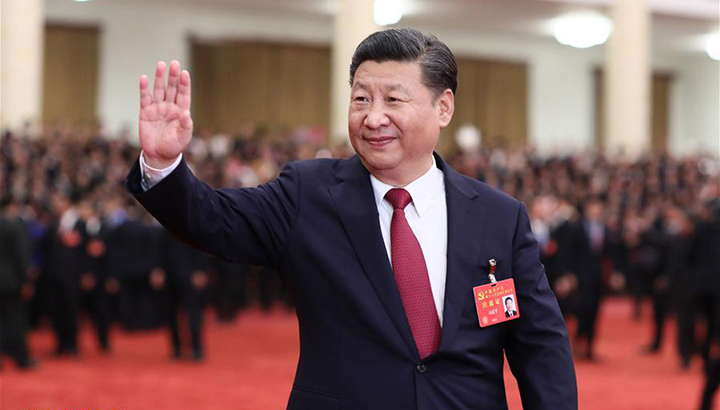 Xi was joined by Li Keqiang, Li Zhanshu, Wang Yang, Wang Huning, Zhao Leji and Han Zheng, all newly-elected members of the Standing Committee of the 19th CPC Central Committee Political Bureau, as well as other senior officials including Zhang Dejiang, Yu Zhengsheng and Zhang Gaoli. Xi was also joined by former Party and state leaders including Jiang Zemin, Hu Jintao, Li Peng, Zhu Rongji, Li Ruihuan, Wu Bangguo, Wen Jiabao, Jia Qinglin, Song Ping, Li Lanqing, Zeng Qinghong, Wu Guanzheng, Li Changchun, He Guoqiang, Liu Yunshan and Wang Qishan. Xi was greeted by warm applause and posed for group photos with them at the Great Hall of the People. The 19th CPC National Congress was held from Oct. 18 to 24 in Beijing.